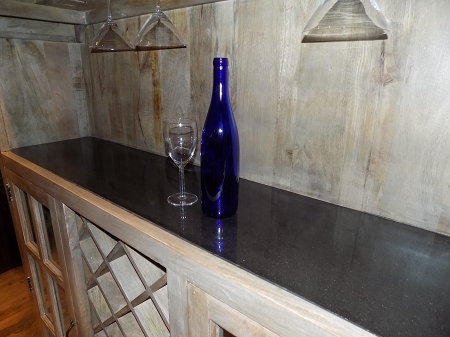 Reclaimed Mango wood bar with granite bar top inlay. 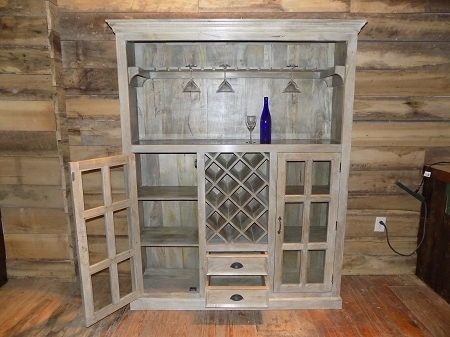 Carved wine rack to display your glassware. 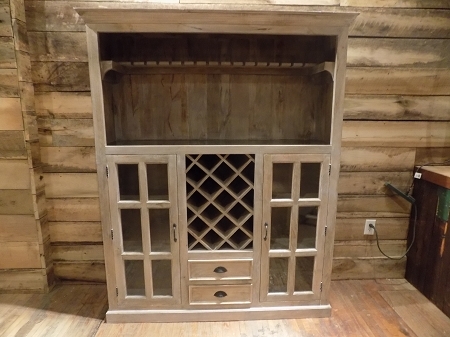 Plenty of wine bottle storage space and drawers for hiding your linens and bar essentials. 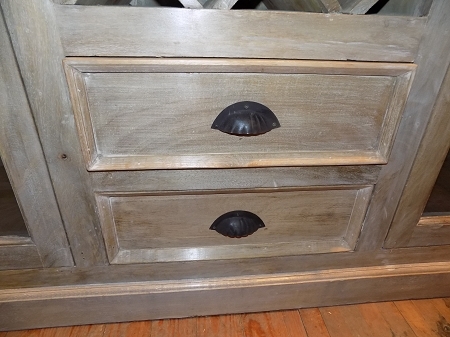 Simply perfect for any home decor. One of a kind all in one piece!